A big smile erupts on their face. It’s a look of euphoria. They’ve never struck the ball so well, with such confidence, precision and poise. They rush up to you, more confident and open than you’ve seen them in months. Their passion for the game has come back – and so has their confidence. At home, they tell you about their day at school. Their grades have been improving and they’ve made new friends. The teachers even commented about their increased participation in class. Your heart swells with pride and you reflect on the moment you decided to send your kid to Big Future Cricket Academy. 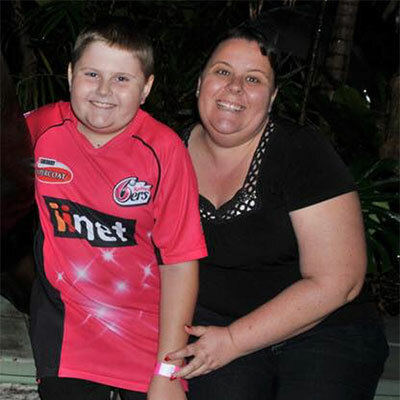 “We could not be happier with the improvement to Braith’s cricket skills – both his batting and bowling have improved rapidly. Equally pleasing, the growth in Braith’s self belief and confidence has been amazing. Already we can see Braith is more confident to back himself and play to his potential. 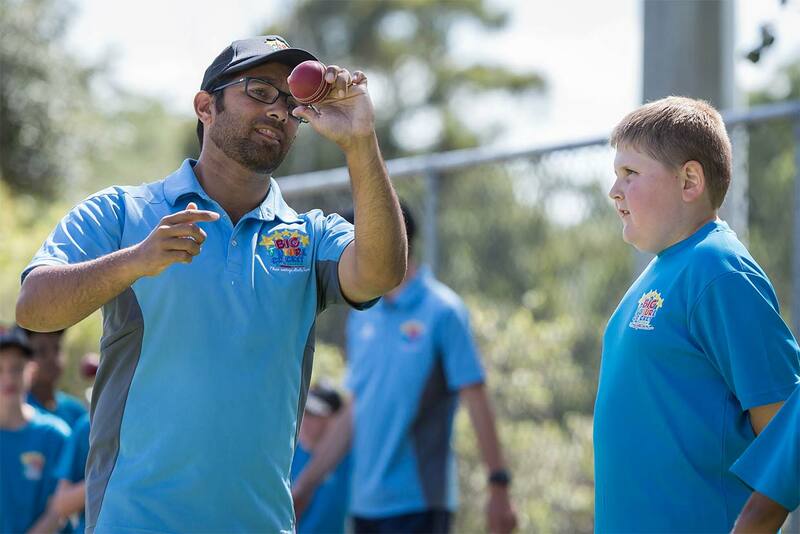 Anand has an incredible skill of being able to identify what is needed to improve an individuals skills and abilities and the real talent of being able to instruct and inspire young cricketers to make the change. Braith eagerly looks forward to his training session each week and we can’t recommend Anand and ‘Big Future Cricket Academy’ highly enough”. 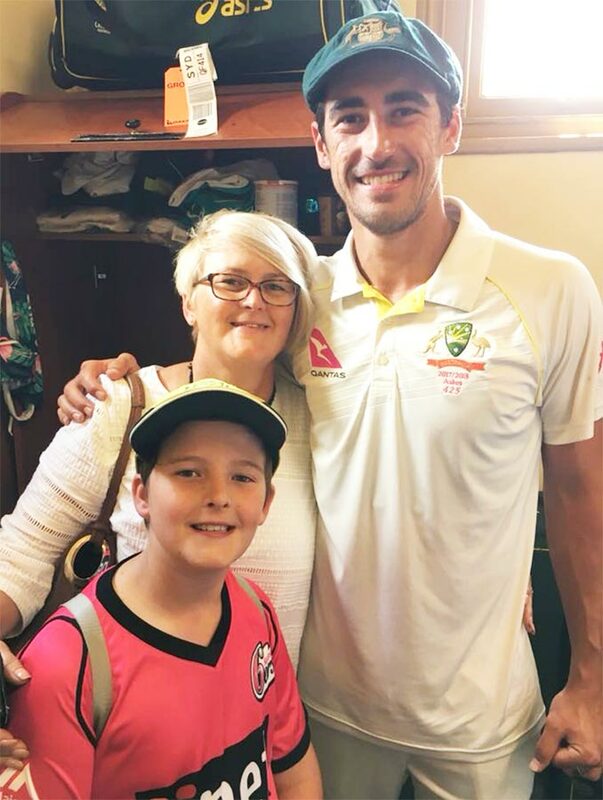 – Julie Anne May, Mother of Australian Cricketer Mitchell Starc, and future star, Braith. 18 masterclasses and heaps of activities! 12 masterclasses and lots of activities! 6 masterclasses and plenty of activities! 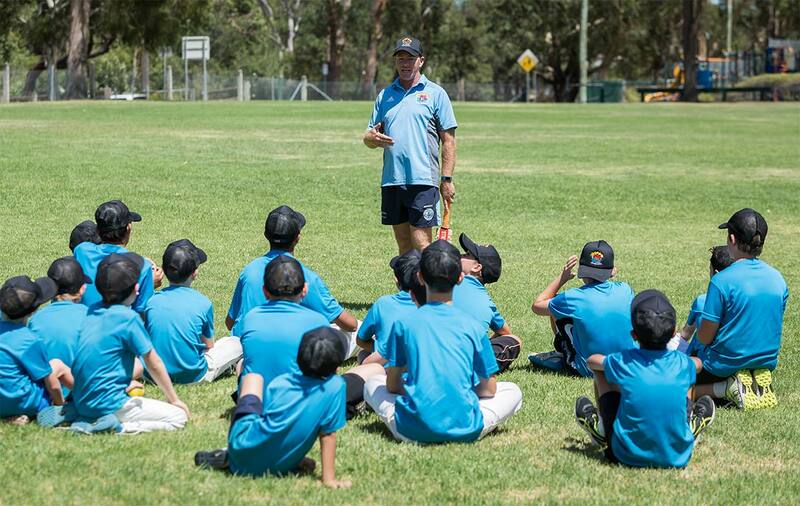 Choosing a cricket coach in Western Sydney can be hard. The wrong choice can not only be a waste of time, but also end up setting your child backwards, damaging their skillset, confidence and love for the game. 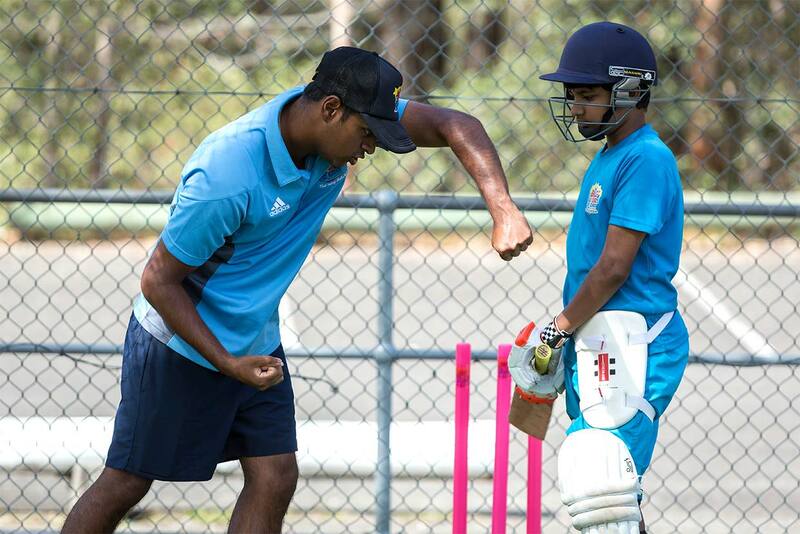 That’s why we offer special introductory Hit n See™ trial sessions, so you can experience the Big Future Cricket Academy approach first-hand before investing. The best and most popular way to do that is with our Private Cricket Coaching Hit n See™. 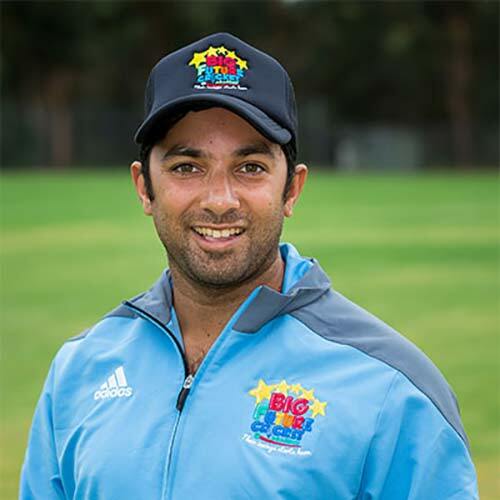 For just $30, your child will get to experience a full one hour private coaching session with our head coach, Anand Verma. 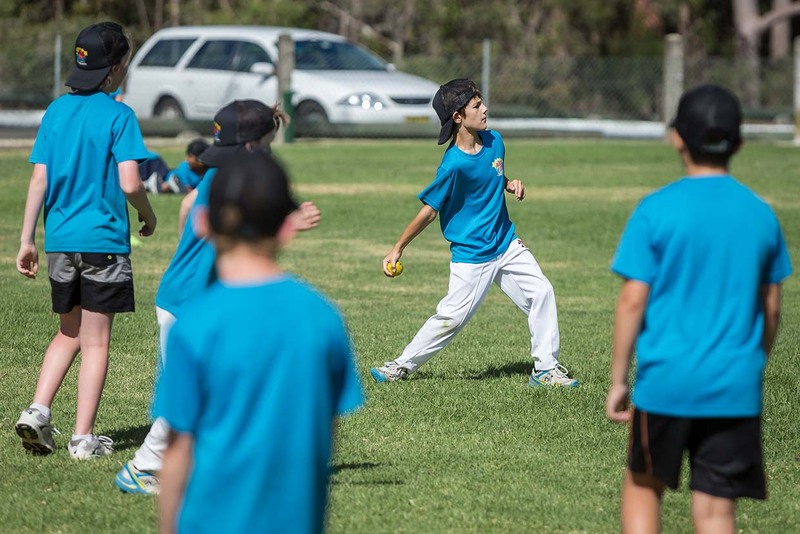 They’ll learn batting, bowling and fielding fundamentals and start to build the foundations for the more intangible mental skills required to succeed on and off the field. 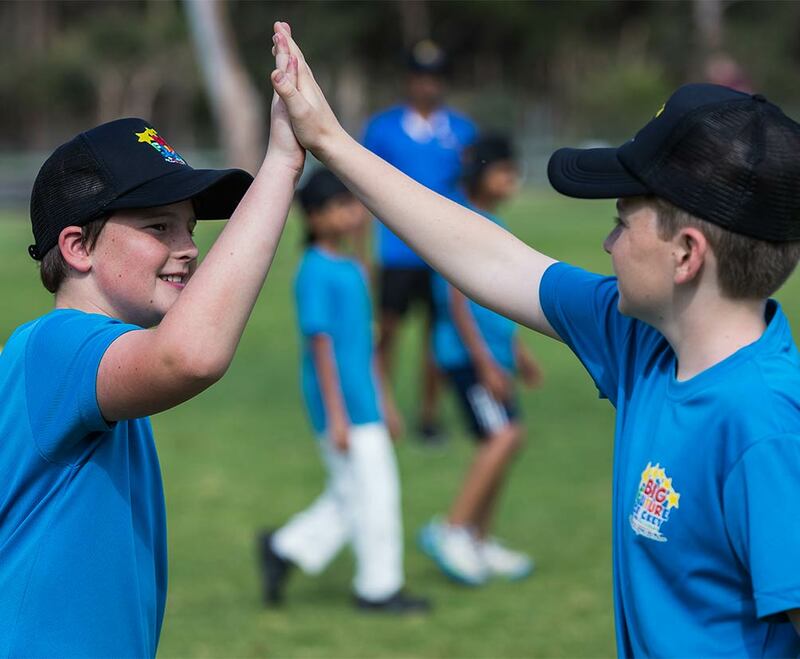 Our Cricket Coaching Framework is designed to help your child gain the confidence to respond to life's inevitable challenges. We know that kids learn more when they're having fun - and that's why Big Future Kids are happy kids. At Big Future, your child will also learn important mental skills like resilience, focus and teamwork. There’s really no replacement for personalised, one on one private coaching. The level of attention and focus your child receives means their cricketing game will advance faster than ever. But it’s not just the cricketing skills. 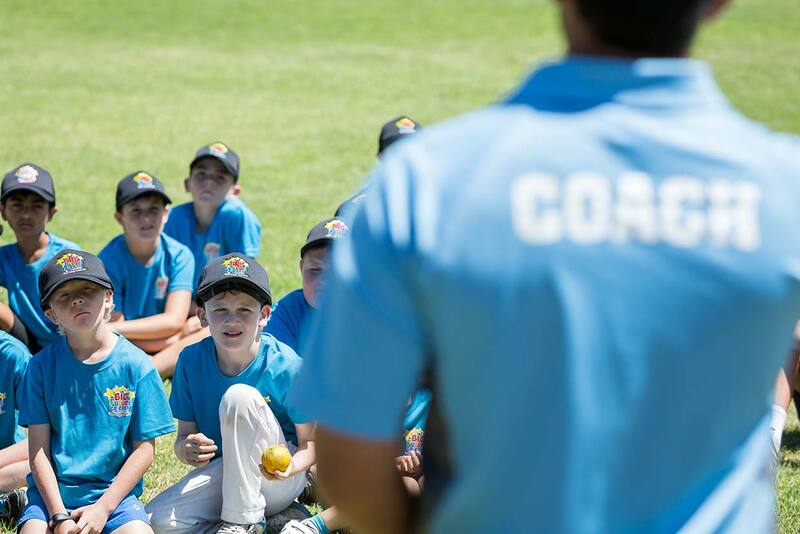 Private coaching also provides a great opportunity for kids to learn the all important mental skills that will benefit them on and off the field. Regular private cricket coaching sessions typically result in a fast improvement of cricketing fundamentals and are our most popular kinds of sessions. In a Big Future private coaching session, your child will spend 1 hour practicing batting, bowling and fielding skills under close supervision from our highly trained coaches. They will correct technique, demonstrate best practice and run through a series of activities designed to let your child progressively hone their skills. 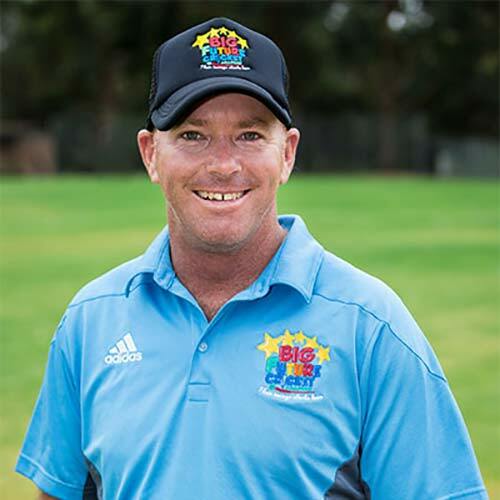 So whether you’re looking for cricket coaching in Liverpool, cricket coaching in Parramatta, cricket coaching in Castle Hill or cricket coaching in Seven Hills, Big Future Cricket Academy is the Western Sydney cricket coaching specialist to help your child become a better cricketer. 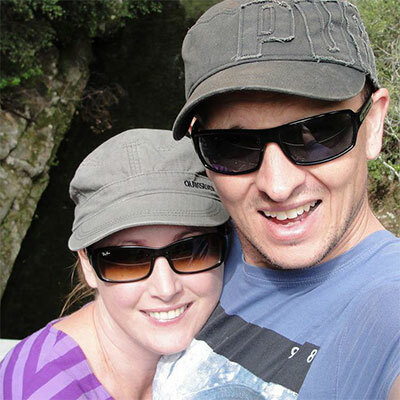 The holiday period is fun for kids, but can be challeging for you. Big Future Kids Holiday Programs are a fun, educational and rewarding way for your child to spend some of their school holiday break. Over 3 consecutive days they’ll learn how to improve their batting, bowling, catching and throwing within a group setting. The programs are structured down to the minute and feature a mix of explicit instruction, practice drills and structured games. Leadership, teamwork and social skills are key aspects of developing a child into happy and successful adult. Throughout our 90 minute weekly Academy sessions, children learn the best practice of batting, bowling and fielding while developing confidence, resilience and learn how to perform when the pressure is on. Leading to more success both on and off the field! When your child goes off to cricket coaching you want to know that they won't fall through the cracks or miss anything. That's why we developed the Big Future Coaching Curriculum - a clear, step by step coaching structure that covers all the core cricketing fundamentals, real-life game strategy and mindset coaching. 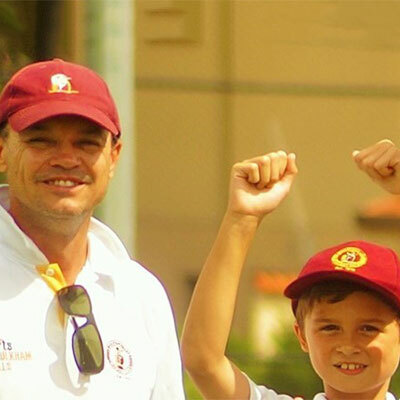 It ensures that nothing is missed in your child's journey to become a well rounded cricketer. How do you know you're choosing a coach who can bring the best out of your child? 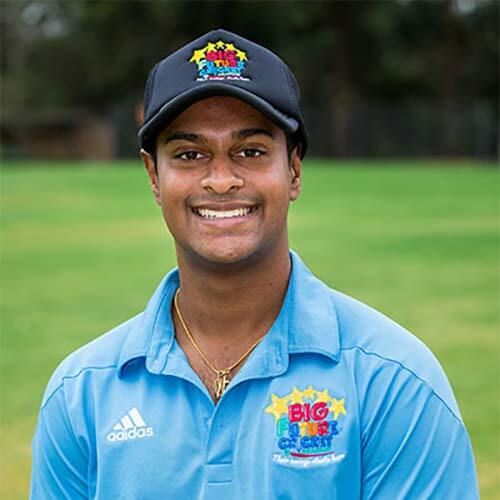 As the only cricket academy in Western Sydney run by a qualified primary school teacher, Big Future has incorporated the latest in educational psychology into our Cricket Coaching Framework, so you get the peace of mind knowing your child is learning from an academy that's spent thousands of hours helping children be their best. Of course you want your child to become a great cricketer. But it's more than that. It's about how they carry themselves once they put the bat and ball away. At Big Future, your child will learn important mental skills like resilience, focus and teamwork - the kind of skills that lead to better grades and improved confidence. 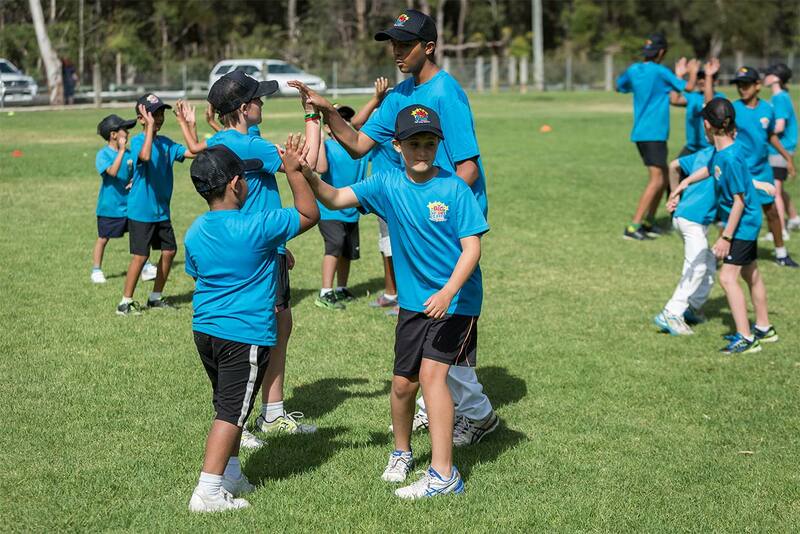 At Big Future, we're committed to creating great cricketers and even better people. Still Not Convinced We Are The Right Academy for Your Child? My son had a Hit and See lesson with Anand recently, after struggling with some aspects of his batting towards the end of the season. Anand very quickly identified some technique issues and was able to provide a platform for correction that my son was able to engage in very comfortably. Retired 42 not out off 22 balls the next day is testament to Anand's coaching. As a Level 2 cricket coach myself, I would recommend Anand highly. Great academy, a sure shot way of expediting the learning curve. My son started Cricket just two months ago and I see a marked improvement in his skills and he really seems to be enjoying the game. Thanks BFCA!! Thank you Big Future Academy for a great program. My son was involved in both weeks of your Summer Smash and loved every minute of it. He has made new friends and not only improved his skills but also improved his overall confidence in the game, we are really looking forward to seeing how this improvement is going to transfer to our next cricket match. This has been a fantastic program for my daughter. She was a little bit nervous that she might be the only girl (she wasn’t) but the program is run in such an inclusive manner that she settled in straight away and had a fabulous time. 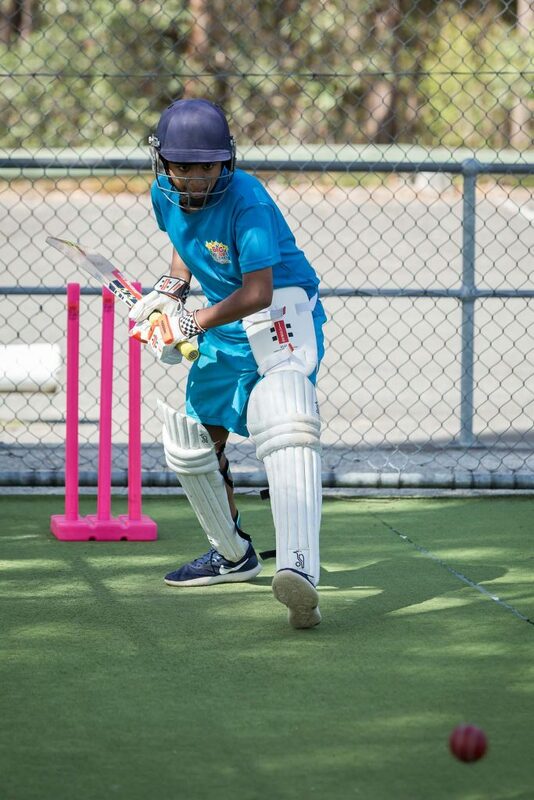 Cricket is such a great sport for girls as well as boys and after two days her skills have really improved. As a player, coach and as a parent, I am very happy to recommend the Big Future Academy. It is great to see the dedication shown by BFA to the young players who are truly the future of this great game. To be able to show young talented players ways of developing their game so they can not only perform to the best of their ability but also to enjoy what they are doing is a truly special thing to witness. A practicing teacher who’s got 20+ years of playing and coaching experience. 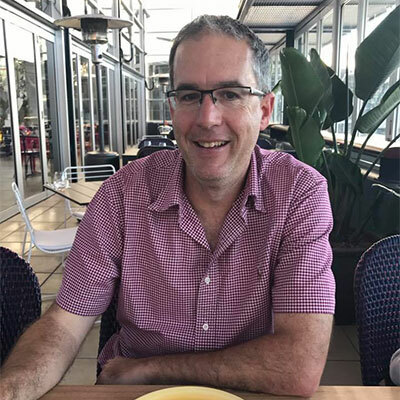 He has used his background in psychology, education and cricket to create life changing programs for young people. Why he does it: I’ve got a commitment that all children grow up with the attitudes and mindset to live a fulfilling life. That’s what we do here and thats why I get up out of bed in the morning. 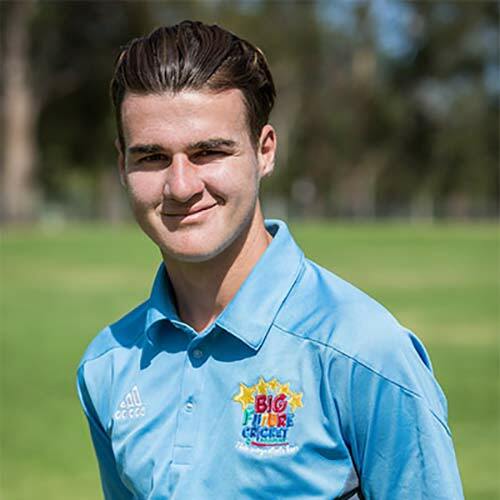 Brandon is a star performer who has a proud love for cricket and working with children. He has found the perfect blend of encouragement, support and pushing the children he coaches which consistently has led to huge improvements. Why he does it: It is so rewarding to be able to give back to these children. There is nothing more satisfying than seeing a child become happier and more confident in themselves. Mark is a natural with young children. His passion, courage and authenticity are obvious when you meet him for the first time and it is only a matter of time before that rubs off onto the children he coaches. Why he does it: It took me a long time to find my passion and courageousness. I love instilling these skills in the children I work with. I think to myself how great it would be to have what I have now when I was younger. Matt is the perfect example of what a fine role model looks like. He’s coachable, hard working and kind. His age makes him extremely relatable to the children he coaches. Why he does it: I love being around this academy. 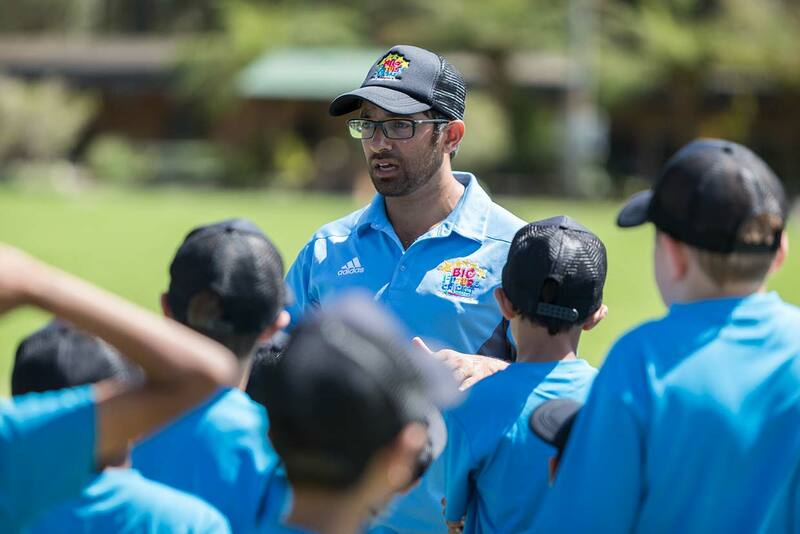 The passion, the energy, the positivity has all made me a better person and a cricketer and I really love getting to pass that on to the kids I coach. 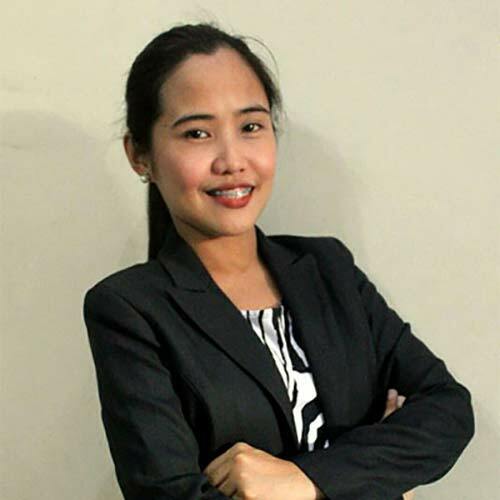 Nimarta is a seriously inspirational leader. 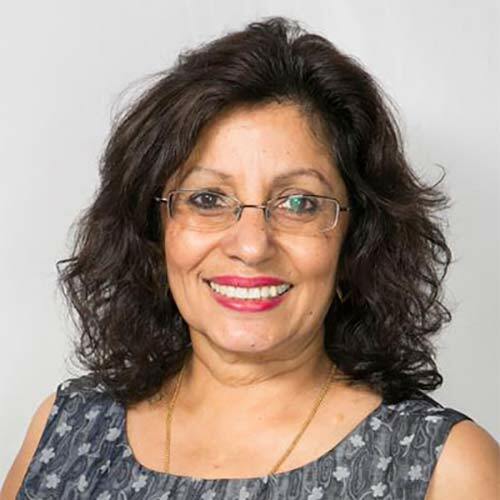 She can be found inspiring and training the employees, empowering the coaches and making sure that our Academy reaches as many young lives as is possible. Why she does it: I’ve seen the magic that happens at the academy, the children are so inspired and lit up after having spent time with us. Why I do this is because I want every child to have this magical experience. 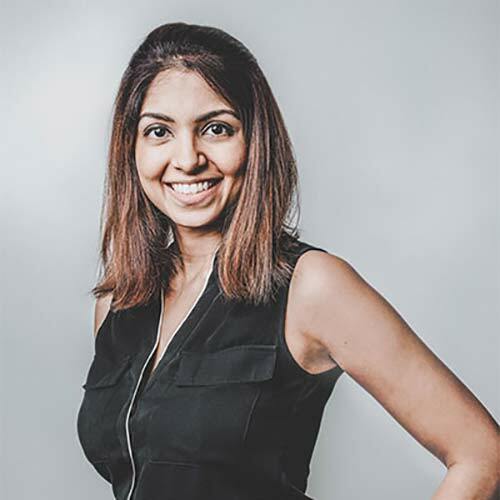 Sarita is an absolute bundle of positivity and fun. She is great to be around and lifts the whole team. She is also a genius when it comes to putting events and getaways together. Why she does it: I’ve seen how children leave this academy. Full of positivity and a zest for life. I love that I can contribute through that process! We call Geraldine our guardian angel. 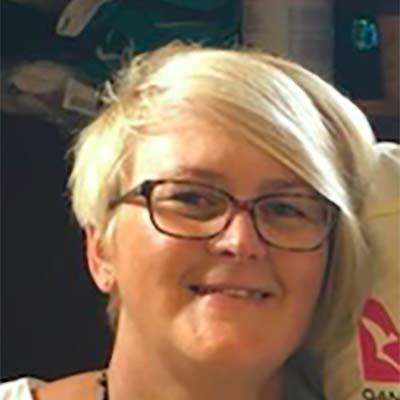 She take’s care of all the admin so that our coaches can concentrate on what they do best -making a difference to your children. Why she does it: I go to sleep at night feeling great about how the work I do here helps to change the lives of so many kids. As an expectant mother myself, I’m glad places like this exist. 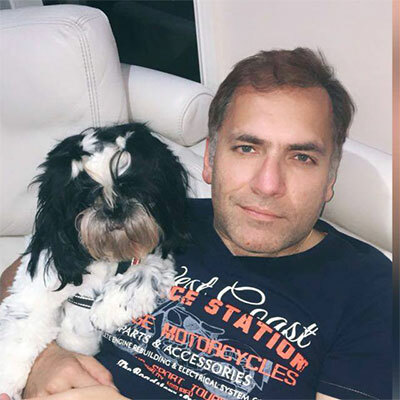 Teo is the brains behind why we look the way we do! After working at places like IBM we are lucky to have such a talented deisgner. Anything you’ve seen and been wowed by, Teo was behind it. 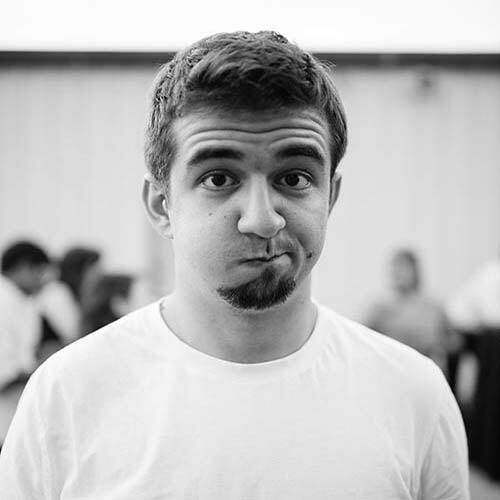 Why he does it: As a designer, you don’t always work for companies that make a difference. I have found it very fulfilling to know that the work I do here leads to such a positive impact to kids.